I’ve been using the app for four years […], and it’s the easiest app I’ve ever used for eliminating unnecessary files. I love the way DaisyDisk color-codes your files for easier viewing, and you can easily view the offending files directly with a single mouse click. […] we recommend an easy-to-use utility called DaisyDisk. This app helps you easily find and remove unneeded files you may have forgotten about. 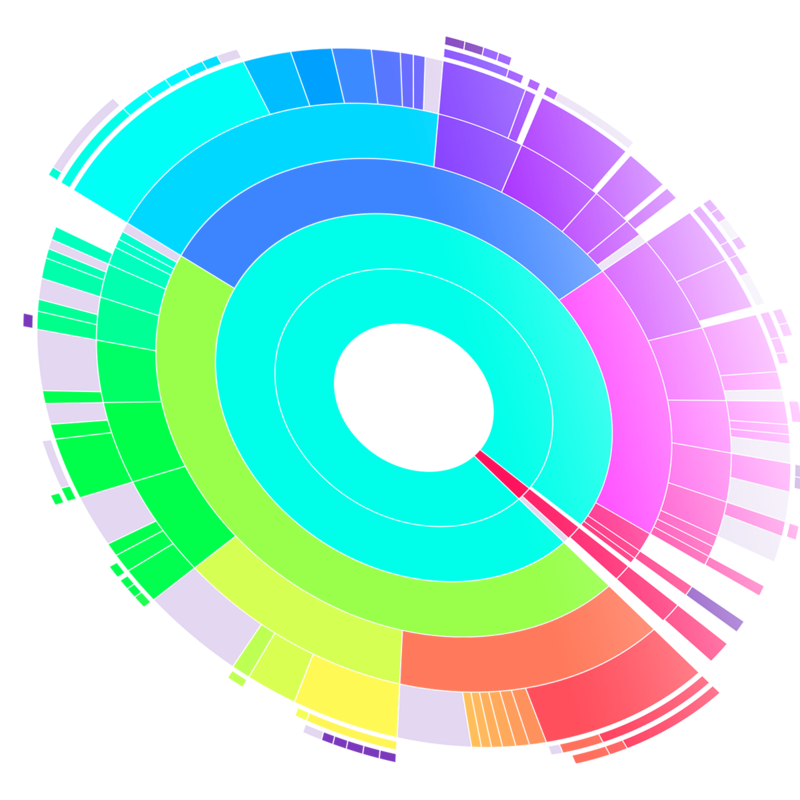 DaisyDisk is a beautiful disk space analyzer. It’s the preference of many Mac users. […] DaisyDisk is very fast and very pretty. Deleting files and sorting out disk-space is one of those tasks most people dread, so I can definitely appreciate that DaisyDisk has tried making it as fun (and beautiful) as possible. The new DaisyDisk 4 has a new, flatter design […], with bright colors, it’s able to scan drives up to 20 times as fast, and it consumes less memory when in use. DaisyDisk, chosen by Apple as a Mac App Store ‘essential’, provides a cleaner and more interactive circular interface for [visualizing Mac’s hard drive]. For only ten bucks, DaisyDisk is a simple, convenient utility for every Mac owner, and it gets the job done well for less technically-inclined users. Daisy Disk is the perfect example of one of those tools that should be built right into OS X. While there are a few similar apps none of them even come close to matching the beautiful DaisyDisk interface. DaisyDisk is a phenomenally helpful utility app for Mac. […] This is a really fascinating way to take a look at all the files and folders residing on your Mac. Seeing it in action is the only way you should see it. It’s phenomenal. DaisyDisk is simply one of the best disk utilities for finding out how a hard drive’s space is being used. While working on your Mac you create and download lots of files, but rarely delete anything. At some point you find that your startup disk is full. What to do? Well, a larger disk will cost you a few hundred dollars. Yearly fee for a cloud storage is about the same. Or simply get DaisyDisk at a fraction of the price and make plenty of space by removing old junk. DaisyDisk also gives you a great overview of all connected disks, be it Macintosh HD, Thunderbolt disk, flash, network storage, you name it. All displayed data are updated in real time, so you can always tell if there’s enough space to install a new game or download an HD movie. Original visual interface that is easy to use even for novice users.